Maybe not horror, but it is "A Violent State"
I have just returned from a world premiere at the Ottawa International Film Festival. Tonight's feature length film may not be horror, but I really have to give a well deserved shout out. And hey, it does certainly have enough blood! Congratulations to everyone involved in bringing A Violent State to life. 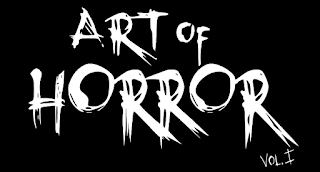 Parktown, Kambites Media and Fluke Films - not to mention horror brethren the Zombie King and Zombie Queen as well as Ottawa Horror principal editor Sonsey who are part of the film crew. Thank you for bringing a distinctly Canadian crime thriller to the screen, and enjoy that applause that may ring on for longer than you could imagine.